The 3-Sum™ is the sum of the three event triathlon experience. Lightweight, fast, and lightly cushioned, the 3-Sum™ is built for triathletes who demand the ultimate in performance. With a seamless upper, easy-on transition pull-tabs, quick-draw lacing system and heel/forefoot drain holes, the 3-Sum™ minimizes transition time and maximizes performance. The Zero Drop™ design allows for natural loading of the calf and Achilles, while optimizing the landing angle to ensure powerful speed with minimal impact. Lose the traditional running shoe bulk and get in synch with the freeing comfort of the minimal MR00 from New Balance! 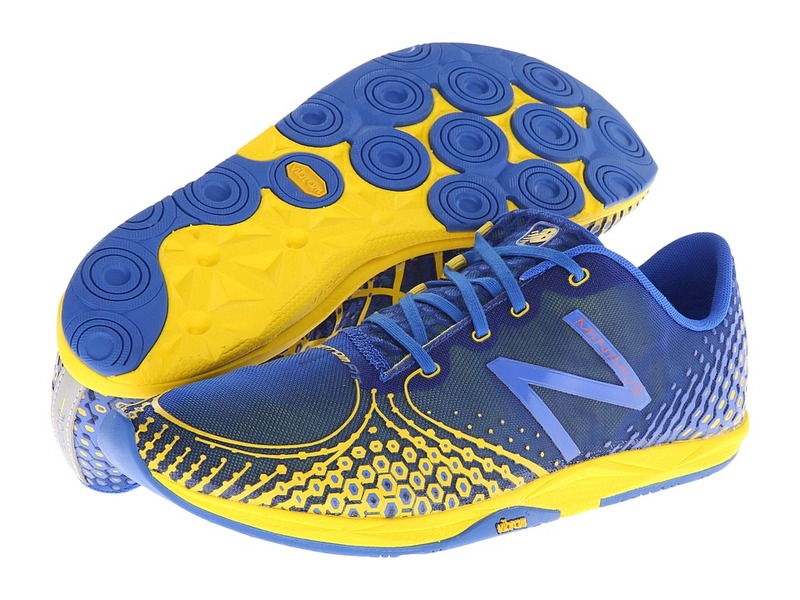 ; Part of the NB Minimus line – Set between barefoot running and traditional cushioned running shoes, this Minimus road shoe is ideal for the neutral runner or those seeking to conquer their gait issues by learning better form. Breathable mesh upper. Lightweight, synthetic overlays. No-sew forefoot construction helps minimize weight and reduces irritation causing seams. Contoured heel cup for a great fit and feel. Breathable fabric lining. Molded footbed for plush underfoot cushioning. Deconstructed REVlite midsole provides exceptional flexibility and ultralightweight cushioning. Differential: 0 mm. Lightweight Vibram blown rubber outsole delivers maximum surface contact and multidirectional traction. Built on an NL-0 last. It features a wide forefoot width, a reduced toe box volume, lower instep and standard heel width. Imported. Measurements: ; Weight: 6 oz ; Product measurements were taken using size 10.5, width D – Medium. Please note that measurements may vary by size. Carrying on the legend of the Saucony Virrata, the second edition offers the smooth ride and barely-there feel fans have come to expect. Successor to the Virrata, SKU# 8044006. 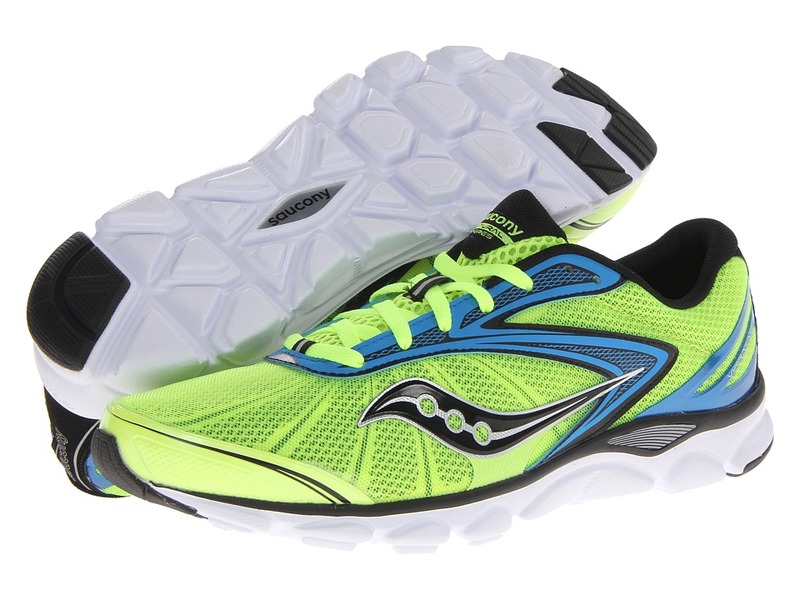 A lightweight neutral running shoe that boasts a 0 mm heel-to-toe drop. 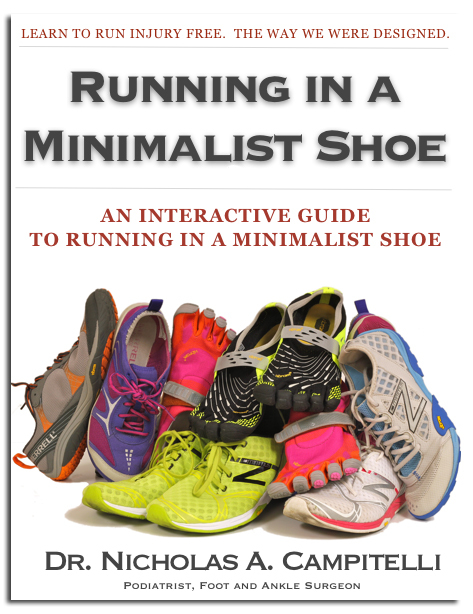 Ideal for the runner with an efficient stride, as well as those seeking a minimal, natural-running inspired trainer. Breathable, quick-drying mono mesh upper with lightweight synthetic overlays. Reflective hits for better visibility in low lighting. HydraMAX Collar Lining provides exceptional in-shoe comfort and moisture-managing properties. Internal bootie construction creates a sock-like fit and feel. Removable foam insole offers light underfoot comfort. High-Abrasion EVA (EVA+) is an ultralightweight grade of EVA that provides durable cushioning. Midsole Height: Heel/Toe: 18 mm/18 mm Differential: 0 mm ; XT-900 carbon rubber outsole material delivers exceptional traction and long-lasting wear. Triangular lug design supplies cushioning and reliable traction over varied terrain. Imported. Measurements: ; Weight: 9 oz ; Product measurements were taken using size 13, width D – Medium. Please note that measurements may vary by size. 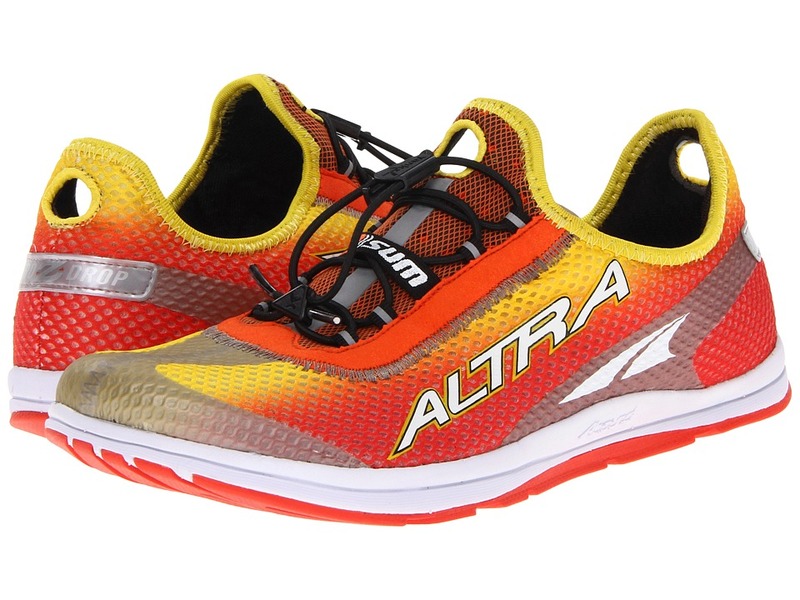 Needing a lightweight and responsive running shoe? 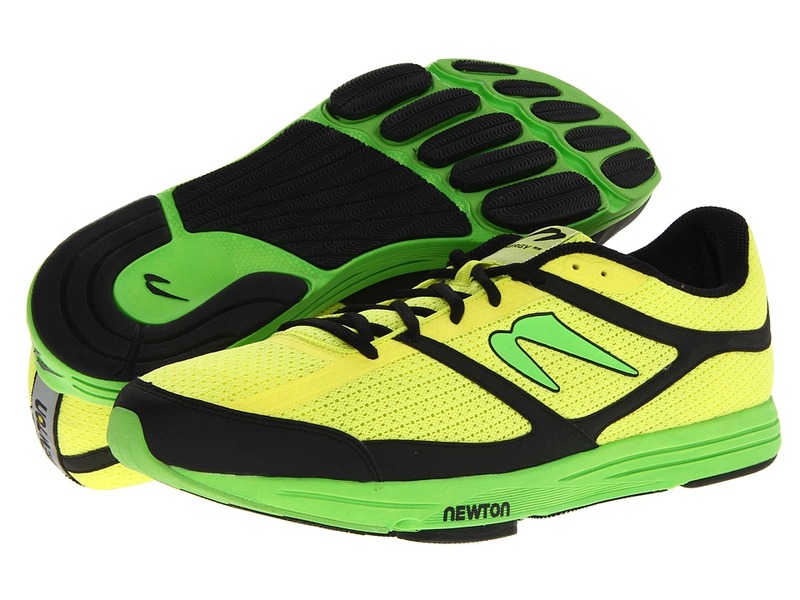 The Men’s Energy NR from Newton Running will keep you ahead of the pack! 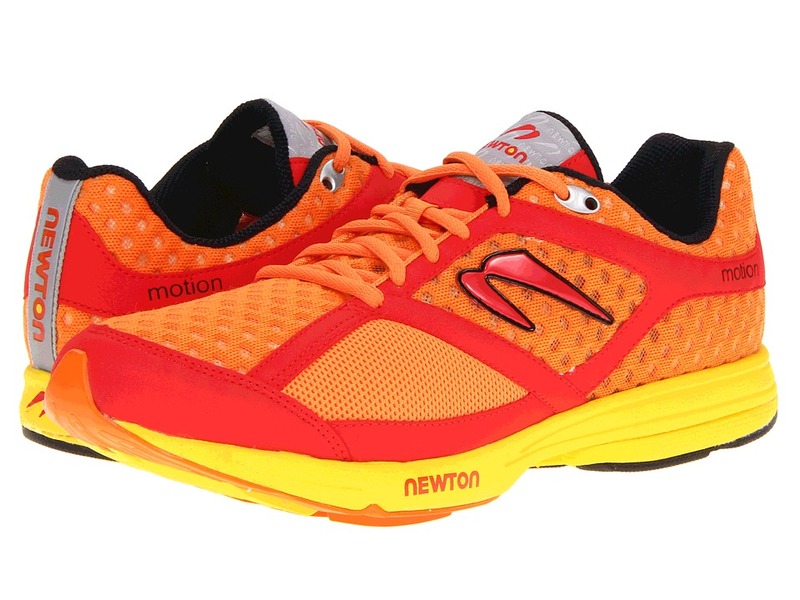 ; Adjusting to Newton running shoes will depend upon several factors including: your current running shoes, your running form, gait efficiency, as well as your speed and flexibility. Those new to natural running form, or those transitioning from a shoe with traditional cushioning will benefit from spending adequate time adjusting. This is because your body will need time to lengthen the muscles and tendons on the back of the leg and under the foot. Newton recommends that first-timers walk in their shoes for several days to become accustomed to the level platform. Walking barefoot on safe and comfortable surfaces can also be helpful. Once ready, begin by introducing short runs of no longer than 15 minutes every other day. Gradually add 10-15 minutes as your feet and leg muscles begin to strengthen. If you experience soreness that persists for more than two days, reduce time in shoes immediately. Rest and ice the area until the soreness subsides, then slowly begin introducing time in shoes again. Designed to fit the needs of runners who want to experience the unique technology platform and ride found only Newton Running shoes. Highly breathable, fast-drying, open mesh upper offers a glove-like fit. Metatarsal stretch panels. Plush tongue and collar for added comfort. Met-flex for enhanced forefoot flexibility. Minimal anatomical support strapping. ETC antifriction, antimicrobial sockliner promotes a great in-shoe environment. Accommodates most orthotics. Action/Reaction Technology: A highly responsive, trampoline-like and engaging midsole cushioning that protects and loses less energy with each step. High-rebound EVA. Biomechanical metatarsal sensore plate allows the foot to sense the ground promoting a lighter, more efficient stride. Fabric lining supplies a soft step-in feel. High-density rubber outsole. Carbon rubber. The next generation of Skechers GOmeb Speed is the official shoe of Meb; winner Boston 2014. 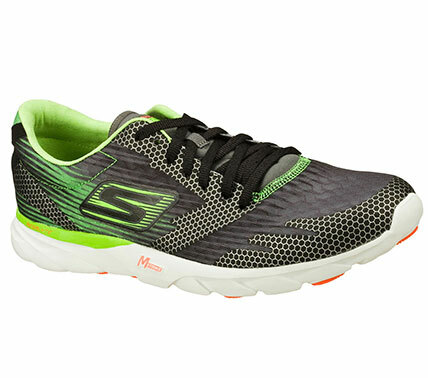 The Skechers GOmeb Speed 2 shoe is built for competitive racing and designed for speed using our most advanced innovative performance technologies. 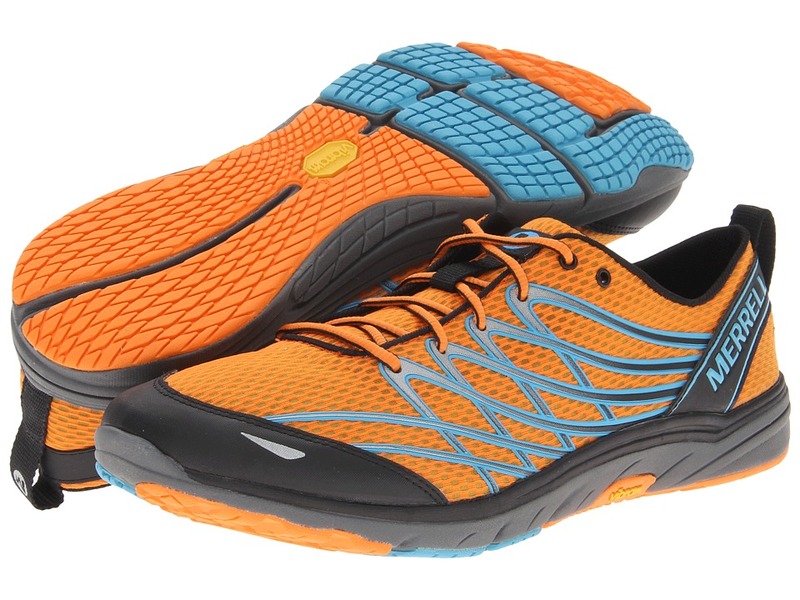 Run the distance and feel like you’re running barefoot with the Bare Access 3 running shoe from Merrell. Mesh and TPU uppers with a protective toecap. Lace up closure for a snug, custom fit. Pull tab for easy on and off. Reflective details for increased visibility during low light. Breathable mesh lining treated with M-Select FRESH odor control. 0mm Drop, 8mm cushion, 13.5 mm stack height. EVA midsole with a durable Vibram outsole. Vegan friendly. Imported. Measurements: ; Weight: 9 oz ; Product measurements were taken using size 11, width M. Please note that measurements may vary by size. 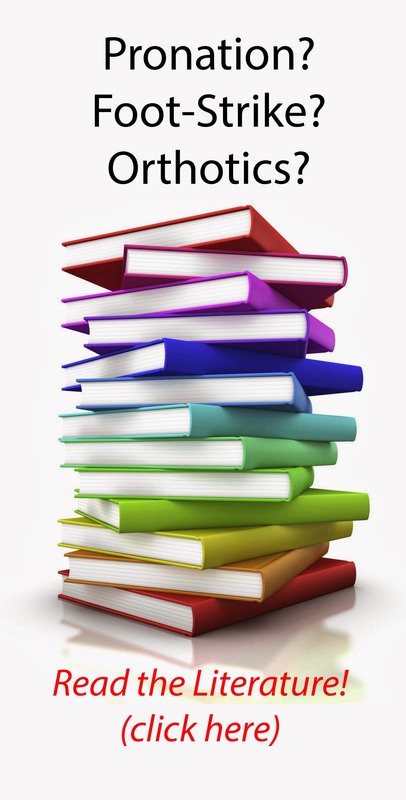 Hello I want your help!! !I’m 82 kg I’m doing 100m and I want to buy a support running shoes!I like the nike zoom odyssey….do u have an idea which shoes is better for me? ?